Prairie Village Ranch w/1790+ SF of living space! Hard to find 3BR, 2.5 BA & 2 Car on 12226SF lushly landscaped lot! Large living rm w/FP, sun-filled family rm & Open design KIT/DIN-perfect for entertaining! 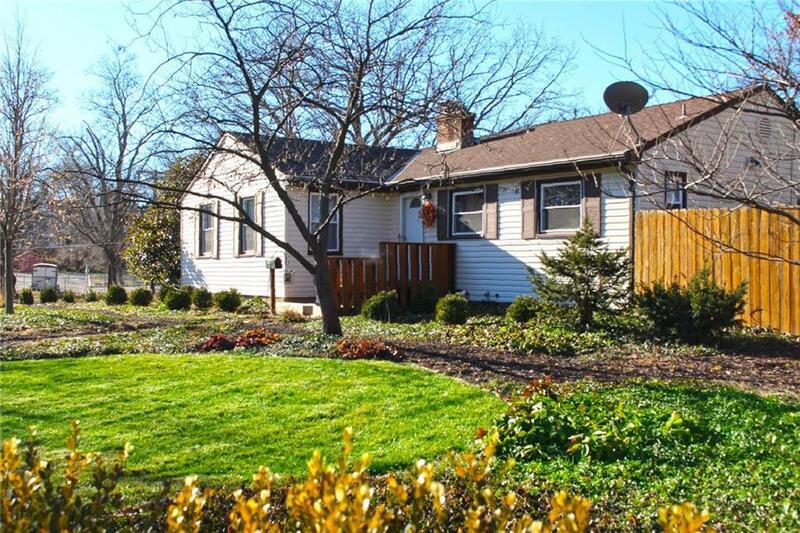 Charming side garden w/water feature & privacy fence! MBR w/wood flrs & 2 closets. New A/C, low maint siding, KIT Pantry, walk-in closets, thermal windows, blinds thru-out, 1st flr laundry & MORE! Enjoy the lifestyle of 1-level living in this tranquil PV setting near popular shopping areas, restaurants & parks! Directions: From Nall go east on Tomahawk Rd (first right north of 75th) 2 blocks to Ash Street (home on corner). From Roe go west on Tomahawk Rd 5 blocks to Ash Street (home on corner).